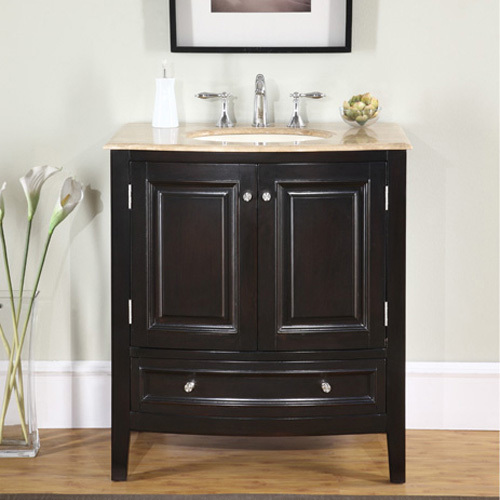 The Gravina Single Bath Vanity features a rich espresso finish and a traditional style that is easy to love. This vanity is hand crafted and hand painted, making your Gravina truly made for your bathroom. The Roman Vein-Cut Travertine counter top is pre-drilled for easy faucet installation, and it also includes an ivory ceramic sink. For discrete and easy to navigate storage, it provides two doors and a single drawer. Not only is its style easy to coordinate with different bathroom designs, its construction is very reliable.